Bursting with history, shopping, beaches, restaurants and nightlife – Barcelona really has it all. In fact, it’s the perfect opportunity to combine a city break with a spot of rest and relaxation on the Mediterranean. Most international visitors will probably arrive by plane at Barcelona’s airport, El Prat, which is located 16km to the south west of the city. 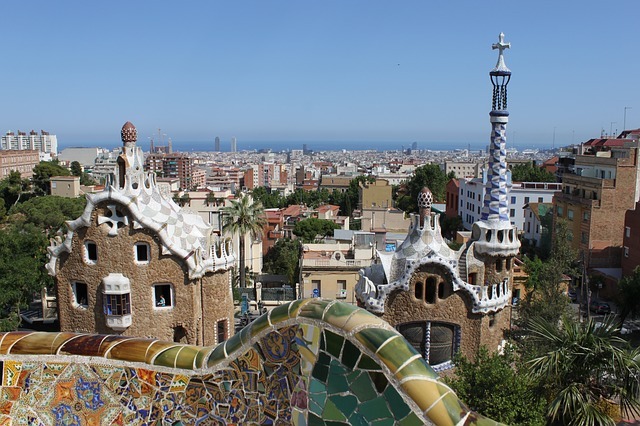 Take the airport bus or the local RENFE train into Barcelona. There are three other airports within two hours of Barcelona: Girona to the north; Reus to the south and Lleida to the west. Barcelona has a great range of public transport options, including an unlimited Transport pass which is valid on the city’s metro, trams, buses and local train network. Driving in the city is probably best avoided. There’s a full range of accommodation options including ultra-cool architect designed five-star hotels, quirky boutique hotels, furnished apartments, campsites and hostels. Popular neighbourhoods include Eixample, El Ravel, Les Corts and Sant Antoni. Be aware that Barcelona is a very popular destination for meetings and conferences, meaning that for certain dates many hotels may be fully booked several months in advance. Download the TripAdvisor mobile app for your smartphone to search for your perfect accommodation option. For a hassle-free trip, a travel essential should be to buy or top-up your prepaid TravelSim SIM card, perfect for cheap international calls. Check out the European rates and coverage on our website. A trip to Barcelona is a gastronomic treat! Barcelona is the Catalan regional capital so this is the perfect opportunity to try out some regional specialties, such as rabbit stew. Head out to one of Barcelona’s 40 food markets to immerse yourself in the sights, sounds and smells of Barcelona’s food scene or buy some ingredients for a picnic. Cuisine in Barcelona tends to follow seasonal patterns, with strong use of seasonal ingredients. Fish and seafood often play the starring role, which is not a great surprise given the city’s proximity to the sea. During the winter season, dishes become richer and more meat oriented with the appearance of stews, soups and poultry. The Barcelona Tourist Office has its own restaurant smartphone app, free to download, with over 170 recommendations. There are numerous “must see” attractions in Barcelona, as well as many seasonal events, festivals and exhibitions. Check out the Barcelona Tourist Office’s agenda for up-to-date information. In the “must see” category, you’ll find the Barri Gotic (Gothic Quarter) with its ancient roman and medieval buildings, the world-famous Las Rambla Boulevard, the weird and wonderful Gaudi houses and the Basilica of the Familia Sagrada. If you’re only in town for a short stay, or if you want to avoid wear and tear on your sneakers, then you may prefer to plan your itinerary around a district or two. For example, if you head to Ciutat Vella, you’ll cover the Barri Gotic, La Rambla, the Port Vell area and La Barceloneta for a chill out at the beach. Barcelona welcomes millions of tourists from around the world each year. It used to be difficult or expensive for many to stay in touch with the family, ring up new acquaintances or make business calls. However, today there’s no need to stress about the hassles of staying in touch with friends and family or making reservations when you’re on the road. A great one-stop solution is a TravelSim prepaid SIM card in Europe. It lets you save up to 85% on international phone calls and SMS and gives you lots of perks, such as free calls from Skype and Viber, free incoming SMS and a help of a personal mobile assistant. Just buy your TravelSim prepaid SIM card online and top it up as needed. Check coverage and rates in Europe for your cheap international calls here.